The case study is about a leading technology company with a global hub of more than 1 million developers. The company specializes in innovation management & technical recruitment solutions and supports its worldwide clientele to fast-track their growth. » On what basis should employee performance be evaluated? 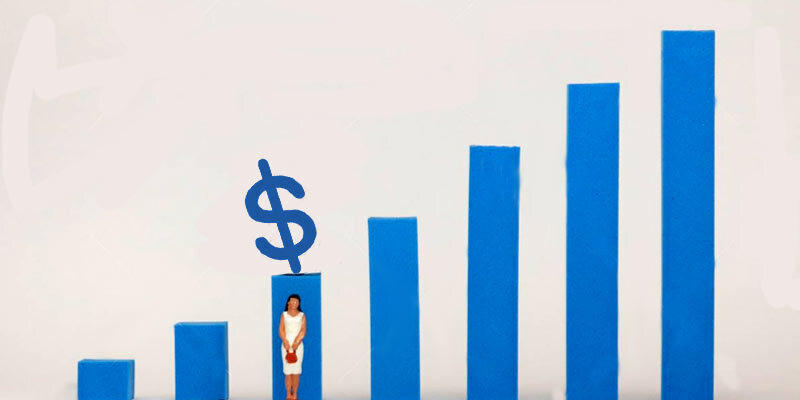 » How to calculate variable pay accurately? » Will employees receive incentives on time? The client needed an integrated solution that could review employees’ performance fairly, obtain performance scores and automatically calculate variable pay. There was a need to eliminate manager bias from variable pay calculation and process payroll accurately. All the challenges were discussed with Empxtrack team, and within a considerable timeline, the solution was implemented. A customized, fully integrated performance appraisal and payroll solution was provided to the client that simplified setting up of mutually agreed quarterly goals in a standardized manner. 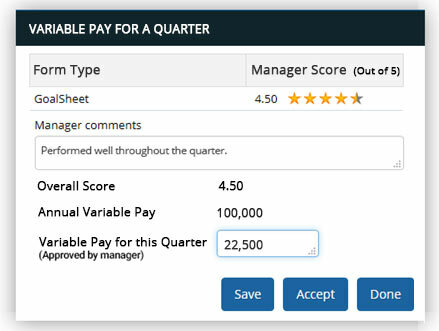 Managers got a systematic system to review employee performance based on a set of pre-defined attributes and calculate variable pay based on the scores as shown in figure 1. Figure 1: The figure shows overall scores and variable pay calculated quarterly through a well-defined procedure. Figure 2: Managers rate their team members on the attributes given in the form. These attributes can be easily configured as per the needs. HR got a platform to automatically obtain performance scores and link variable pay with the scores. The system was integrated with payroll solution, and thus employee salaries were accurately disbursed. The end-to-end integration simplified the process of linking performance to compensation. It became easy to create variable pay plans and reward top performers. The company saw significant increase in employee satisfaction levels. » Established a well-structured goal sheet system for clear work expectations. » Got a better, transparent and fair performance evaluation system. » Found a fair way to decide employee incentives. » Eliminated manager bias and favouritism. » Seamless integration of variable pay with payroll. » Saved financial leakages in revenue. » Improved employee satisfaction and engagement. » Increased overall workforce and company productivity. Disclaimer: This case study does not reveal name of our client due to confidentiality of the contract between Empxtrack and the client.